田小娟, 邹芳, 金双根. 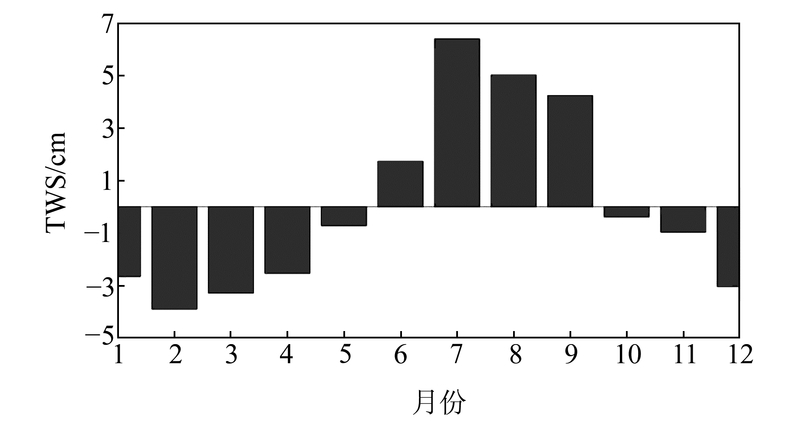 气候变化和人类活动对长江流域水储量变化的影响研究[J]. 大地测量与地球动力学, 2019, 39(4): 371-376, 436. TIAN Xiaojuan, ZOU Fang, JIN Shuanggen. Impact of Climate Change and Human Activities on Water Storage Changes in the Yangtze River Basin[J]. Journal of Geodesy and Geodynamics, 2019, 39(4): 371-376, 436. National Natural Science Foundation of China, No.11373059;Strategic Priority Research Program of CAS, No.XDA23040100. JIN Shuanggen, researcher, PhD supervisor, majors in satellite navigation and geodesy, E-mail:sgjin@shao.ac.cn. 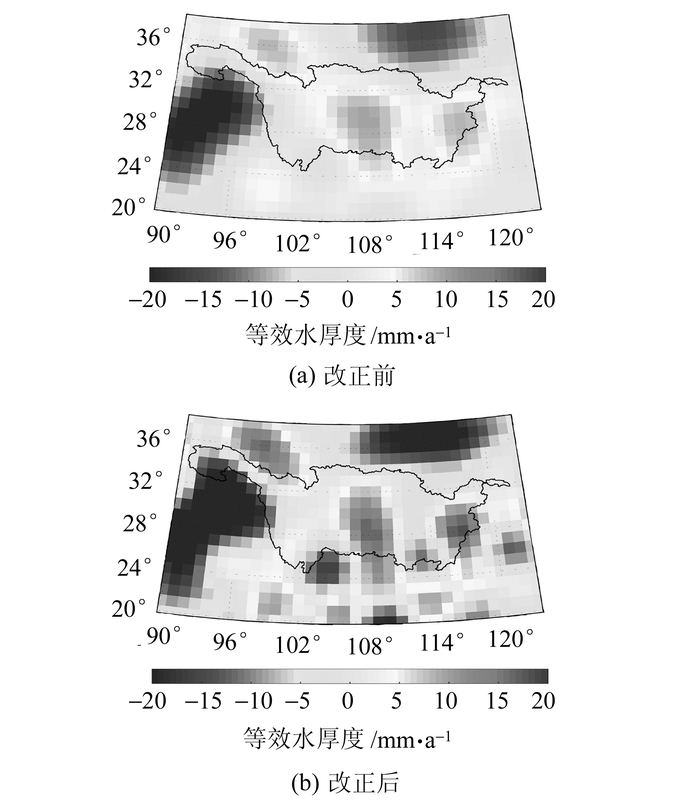 TIAN Xiaojuan, PhD candidate, majors in satellite gravimetry and water circulation, E-mail:xjtian@shao.ac.cn. Foundation support: National Natural Science Foundation of China, No.11373059;Strategic Priority Research Program of CAS, No.XDA23040100. About the first author: TIAN Xiaojuan, PhD candidate, majors in satellite gravimetry and water circulation, E-mail:xjtian@shao.ac.cn. Corresponding author: JIN Shuanggen, researcher, PhD supervisor, majors in satellite navigation and geodesy, E-mail:sgjin@shao.ac.cn. 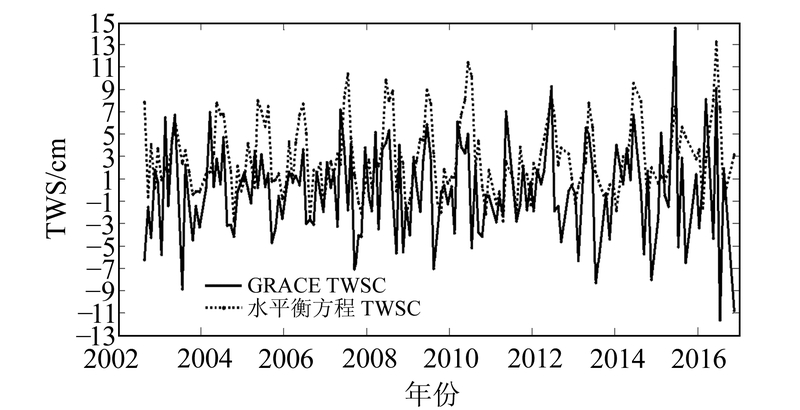 Abstract: Using August 2002 to December 2016 GRACE data, TWS variations are derived after deducting the leakage affect, and temporal spatial variation and change trend are analyzed. Results show that the growth of TWS is 0.13±0.12 cm/a. Areas where TWS significantly changed have more leakage influence. 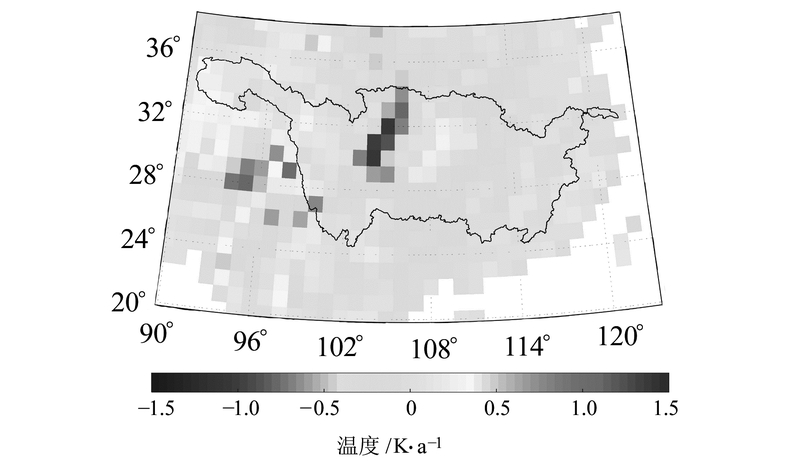 For example, after correction, in the Three Gorges Reservoir TWS increased from about 10 to 15-20 mm/a, presenting a greater spatial heterogeneity. 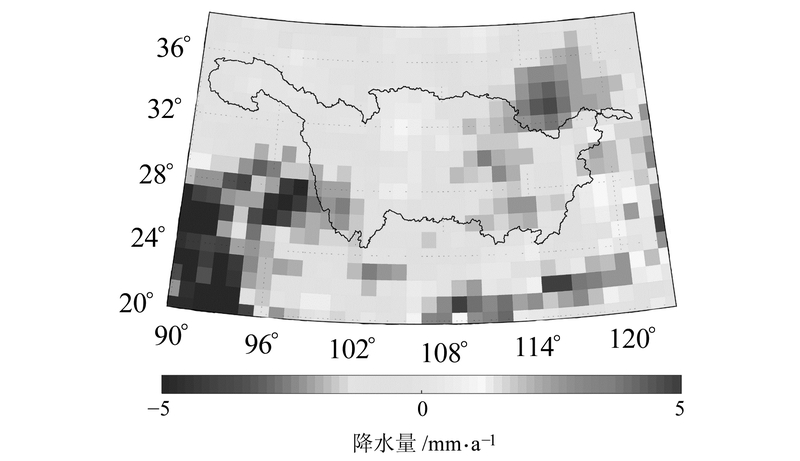 In addition, the Yangtze River basin water cycle changes are closely studied using a variety of meteorological data thorough angles of weather impact and human activity. 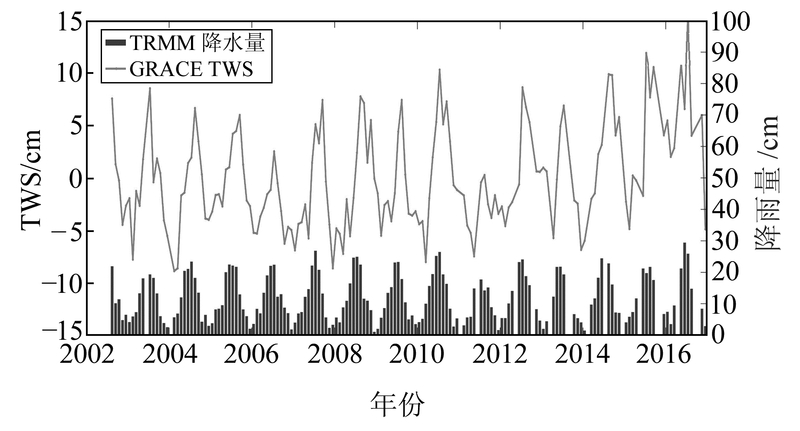 Precipitation and TWS have high correlation, TWS delaying 1 to 2 months. Whereas in the upstream source, temperature is the dominant factor, increasing trends of which have been accelerating melting glaciers, leading to an increasing trend of TWS. The Three Gorges project increased TWS. 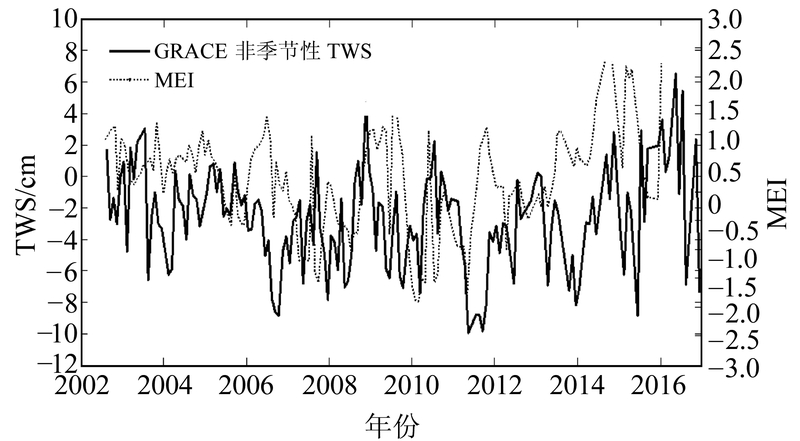 ENSO phenomena are another significant factor influencing TWS in the Yangtze River basin.